North Carolina charters are working with a more diverse population today than they were two years ago, a new state report shows. But charter enrollment is still strikingly different from the student population in traditional public schools. Those are some of the findings of a report delivered by the state’s Office of Charter Schools this week, which oversees 173 publicly-funded charters with more than 100,000 students statewide. Policy Watch has detailed criticism from some public school advocates who argue charters serve a very different population than their traditional school peers, a point confirmed by past state reports. But the state charter office indicates that gap, while still substantial, has closed somewhat. The state Office of Charter Schools says it’s “pleased to report” that charter schools are becoming more racially diverse and are enrolling more economically disadvantaged students. The gains, a 0.8 percentage point increase in Hispanic students and a 1 percentage point increase in the number of low-income students, comes after criticism from some groups about how charter schools aren’t as diverse as traditional public schools. Charter schools are taxpayer-funded public schools that are exempt from some rules that traditional public schools must follow, such as offering transportation and school meals and following the state’s school calendar law. 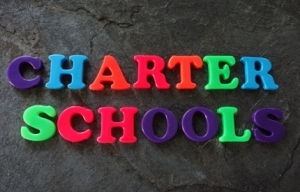 The number of charter schools has risen to 173 after state lawmakers in 2011 lifted the cap that limited the number to 100. For the first time this school year, charter school enrollment exceeded 100,000 students. Traditional public schools still enroll vastly more students at 1.4 million, but their enrollment has been declining while charter schools have seen a rise. It’s good news that charter schools are trending in the right direction, said Yevonne Brannon of Public Schools First NC, a group that in the past has been critical about the expansion of charter schools. But Brannon said what the state should do 20 years after the first charter school opened is to give the same flexibility to traditional public schools. “As long as we’re going to have two different sets of rules, we’re always going to have complaints from one side about funding and the other about governance and flexibility,” Brannon said. Charters are viewed as an alternative to traditional schooling, one with more flexibility in staffing and curriculum to allow for classroom innovation. But their rise in North Carolina since state legislators lifted a 100-school cap in 2011 has brought along with it many questions about their impacts on diversity and funding for public school systems, which still serve the vast majority of the state’s 1.5 million students. This week’s report comes days after a new study from researchers at UNC-Charlotte and UCLA points to charters as driving segregation in the Charlotte school system, the second-largest in the state. According to that study, the 36 charters serving the Charlotte region contributed to “racially isolated” and “hyper segregated” schools.